Hand-lettering and calligraphy are like candy to me - fun, sweet, pretty things that I love to indulge in. 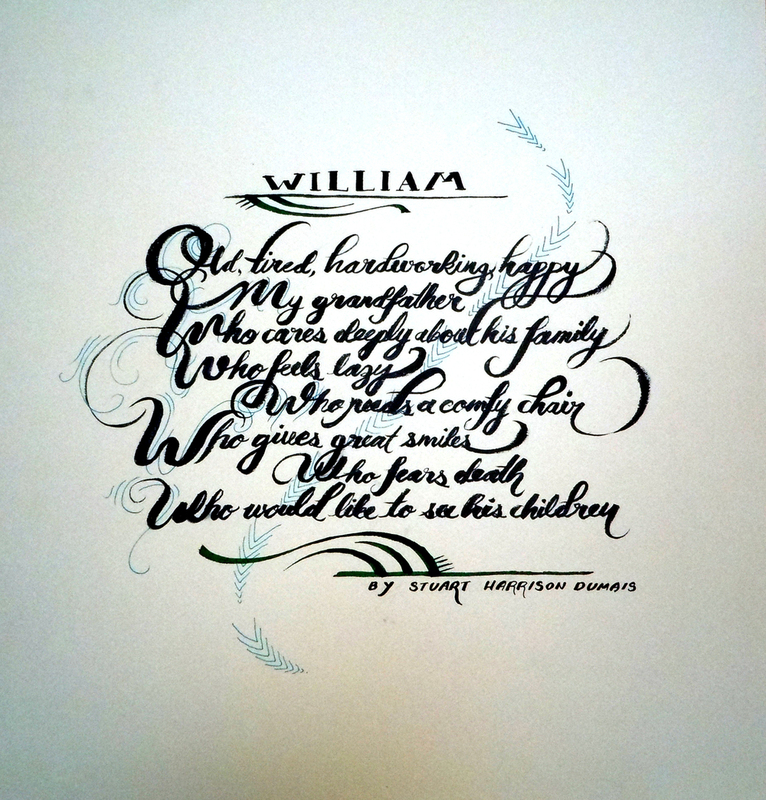 A friend of a friend recently commissioned me to write a poem in calligraphy for her son's graduation present. Since I wasn't sure exactly what she wanted, and I was feeling a little rusty, I did a couple of warm-ups before hitting the final version.